I normally don't talk about these categories, but they were all inflated this month by our travels, especially dining out. I could categorize some of these as travel expenses, but I'm not that worried about it. We bought an additional garage door remote, a shelf for our freezer, a sweet sleeve for my key fob so I don't accidentally press buttons in my pocket, and a nifty device to let me preserve growler beer. We bought a string trimmer to clear the weeds on our lot. 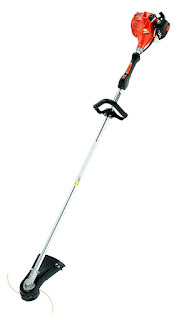 I bought what I hope is a nice one because our city requires us to trim the weeds every year as fire abatement. I borrowed a friend's last year, but I didn't want to do that again because it didn't work very well and I don't want to be a mooch. We paid for mommy-and-me classes in the fall. We bought a new swimsuit and water shoes for Frugal Babe. Chrissy also got a couple garments she needed. We went totally crazy in this category this month, buying bug repellent, allergy medicine, disposable diapers (for nighttime and travel), and a nice hairbrush to tame Frugal Babe's occasional rat's next. 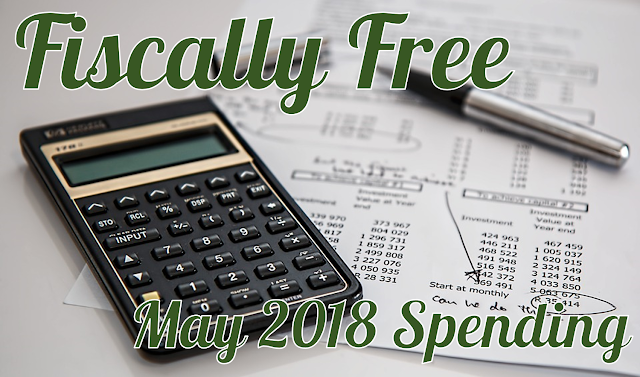 How did you do on your budget in May? Let us know in the comments. If you want to easily track your spending every month like us, we highly recommend Personal Capital. It's a FREE tool that makes financial management fast, easy and secure. Here at Fiscally Free, we use Personal Capital and we recommend you try it today. You'll be glad you did.